This is it! 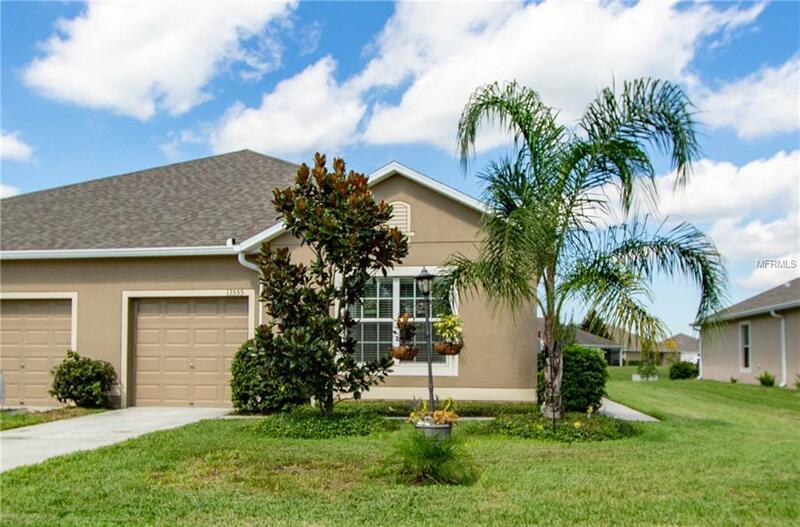 Perfect and nearly new, 2016 3 bedroom 2 bath villa with a private fenced yard and pond view! Welcome to Lakeside by Lennar, a resort-stye community built with RELAXATION in mind! This spacious villa has over 1,500 sq. feet plus a large screened lanai and additional outdoor entertainment areas. This immaculate and bright corner unit is located on a quiet street with beautiful landscaping. Laminate and tile throughout main living areas, high-end kitchen includes stainless steel appliances, all wood cabinetry, granite counters and breakfast bar. The master suite is truly a "room with a view" offering backyard access to a private sitting area, HUGE walk-in closet with barn door, and bathroom with wood cabinets, dual sinks, and walk-in tiled shower. This desirable split floor plan was designed with an indoor laundry, large spare bedrooms, and deep-car garage offering an abundance of storage. Lakeside Villas is located minutes from Hudson Beach, and provides easy access to the Suncoast Parkway, Little Road and I-75. Amenities include: breathtaking 5,000 sq. ft. clubhouse, beautiful zero-entry swimming pool, state of the art fitness center, dog park, tennis court, basket ball area, and playground. Join your friends at the lakeside fire pit complete with grilling area and viewing dock. Amazing value in this one-of-a-kind community that you will be proud to call home! Additional Lease Restrictions See Page 59 Of Declaration Of Protective Covenants. 7 Month Minimal. Pet Restrictions See Page 55 Of Declaration Of Protective Covenants.